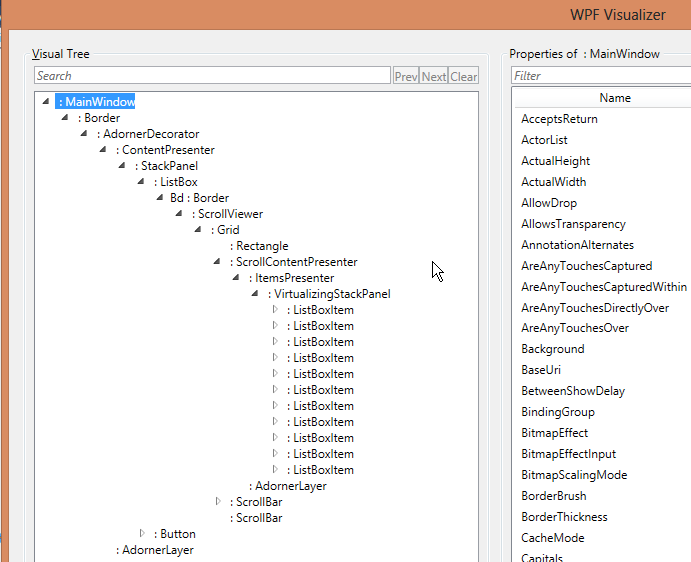 List-based controls in WPF are comprised of a panel that contains a child UIElement for each item in the list. 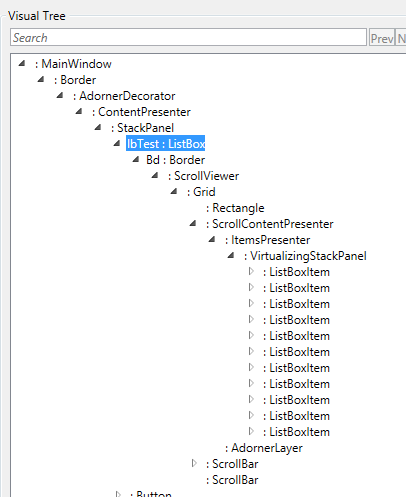 The visual tree for a ListBox includes a VirtualizingStackPanel as a container for a series of ListBoxItem instances. The ListBoxItem is the user interface element that renders an item from the list. When a list contains a large number of items, it would take a long time and a large amount of memory to create a ListBoxItem for each element in the list. To improve performance, a ListBox uses UI virtualization by default. UIElement-based objects are created only for the items currently being displayed in the list. New UIElements are then created as additional items are scrolled into view. We can see this by binding a ListBox to a collection containing 1,000 elements and then looking at its visual tree. ListBoxItems have been created for only the first few items.